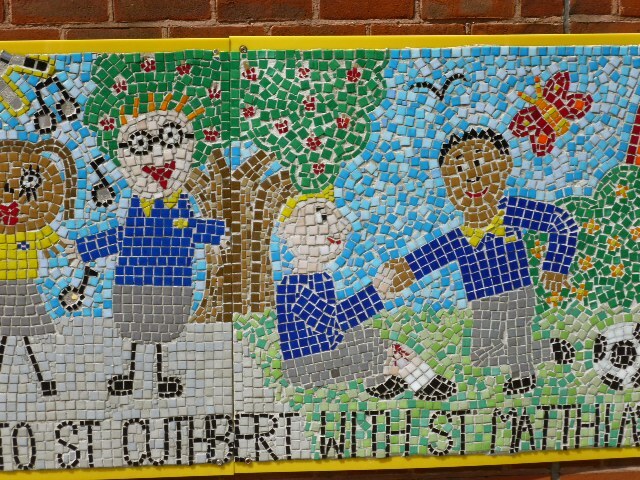 A group of around 18 volunteers go into St Cuthbert with St Matthias School each week. The school is situated just outside the Parish on the Warwick Road, near the Earls Court Tube Station. About half the volunteers are members of St Mary’s and many others are friends of parishioners. Most of the children at the school have English as an additional language and come from families of many different faiths. The volunteers work individually with each child – spending around an hour a week listening to the children reading, helping with difficult vocabulary and asking questions to make sure that the children understand what they are reading.